I have less time to devote to my sewing blog than I did before I started working full time. When I come home, I spend a little while drooling at the wall and then my tummy growls and I cook up something to eat. Also, the summer growing season is in full swing and I find myself wanting to be outside growing something or soaking up the sun at the beach in my free time. 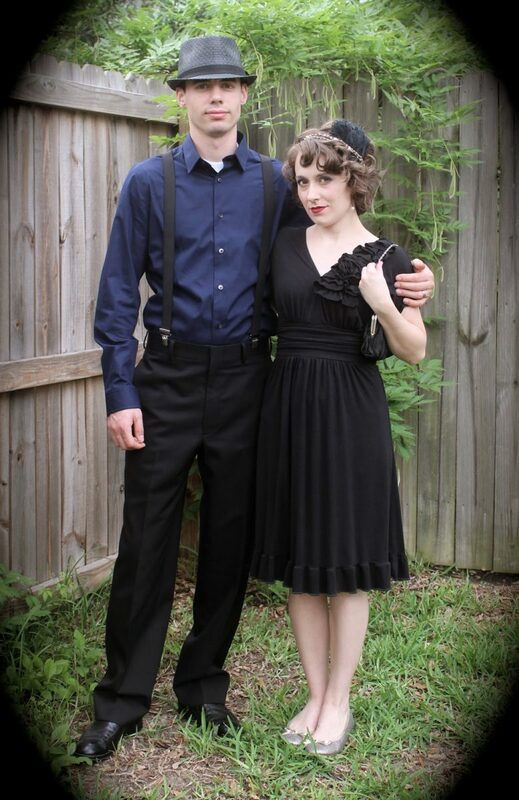 Last night we went to a Gatsby Party. I thought about making a flapper dress. I had some blue sequin fabric lying around but it wasn’t enough to make a full dress. When I finally had some time to sew it was 8 hours before the party and I decided to just wear a dress I had. Admittedly, it wasn’t anything like a flapper dress but the dress matched my accessories! Have you ever tried to make something quickly on the fly? I can’t always do it and it can really stress me out if I’m not using a familiar shape or pattern. I took the extra effort to make my makeup like 1920s makeup. It was fun learning about the actress Clara Bow and how everyone was obsessed with duplicating her rosy lips and thinly penciled eyebrows. This is my awesome TNT one piece swimsuit pattern, Kwik Sew 3153. This second suit fits almost perfectly and is so comfortable. This has been getting a lot of wear at the beach! Butterick 5315 with a drafted shawl collar makes for a great spring dress in seersucker. This dress never needs ironing! I highly recommend seersucker for shirt dresses. I love my first make of Butterick 5153. This is my favorite dress pattern of all time. IT-FITS-PERFECTLY. Fit is everything. 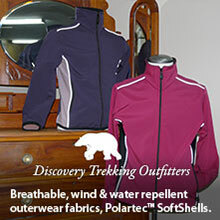 It makes things comfy, it makes me feel confident in what I wear. It wouldn’t mind having two more of these in different colors with different style options. 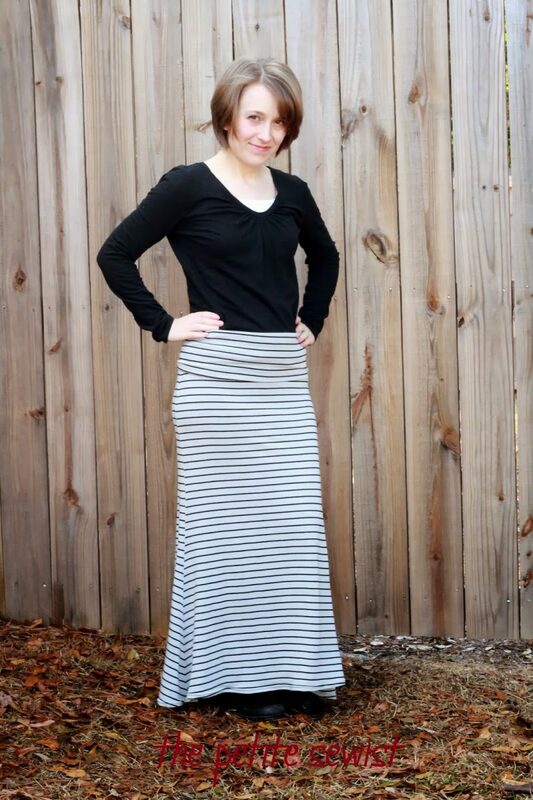 And my favorite sewn item this season is my maxi skirt, SBCC Cosmo Skirt. Such a comfortable and flattering skirt! I love the shape. I will be teaching this class at Fashion Fabrics in Mt. Pleasant this Friday. Prepping for this class is another reason why I haven’t had time to do my own sewing. If you live in the Charleston area, there is still time to sign up! Previous Post: « Collette Hawthorn – Fitting Issues!